Stir this well with a spoon and pour this in tall glass. Now skew the sausages with barbecue sticks. Dip them in tall glass and coat them well. Deep fry these coated sausages in hot oil. As expected, the recipe looks simple enough. 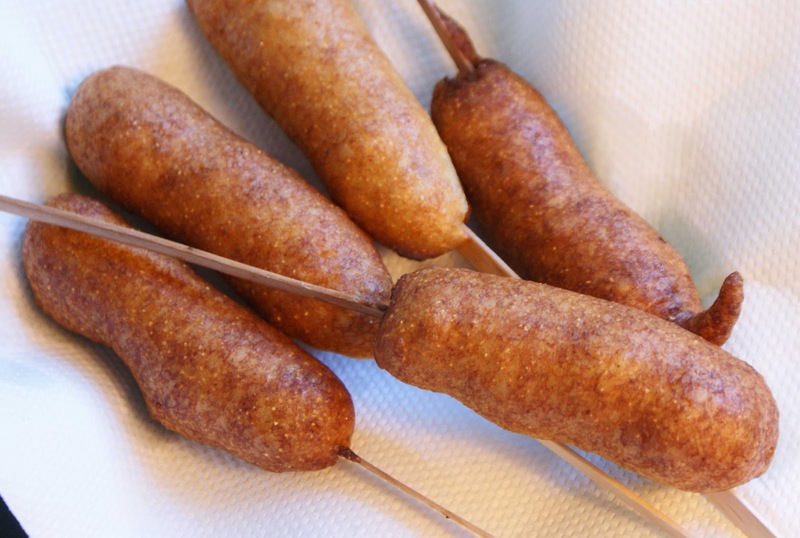 I have seen ways to add some style to corn dogs in one of my mom's chef books. Looks like it's time for a little experiment in the kitchen.